Hey everyone! 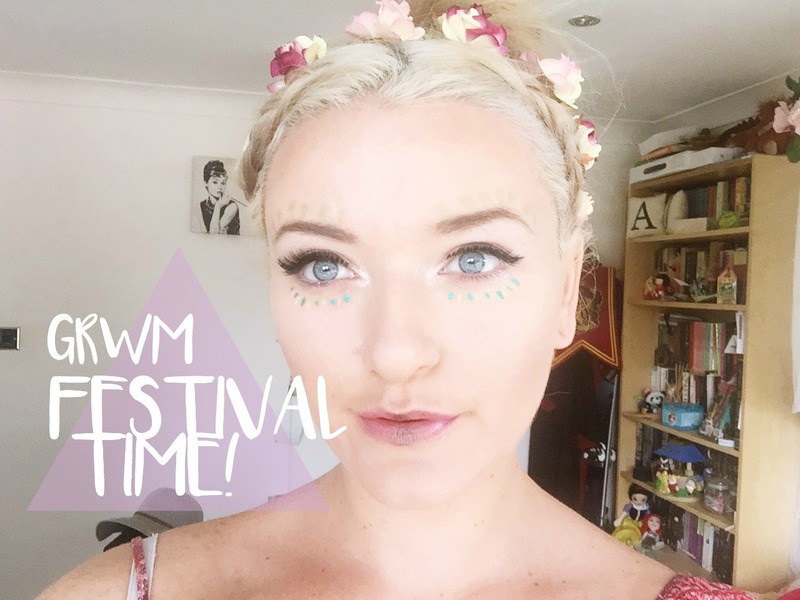 So I’m off to T in the Park on Wednesday so I figured I’d film a get ready with me festival look of my eye and lip makeup and my hair! I’m so excited for the festival because it always turns out to be one of the best weekends of my life. This year I’m going with a group of friends rather than just with one other person so I’m hoping it will be better than ever! What do you guys think of the colourful eye make-up? What do you usually do make-up wise at festivals? 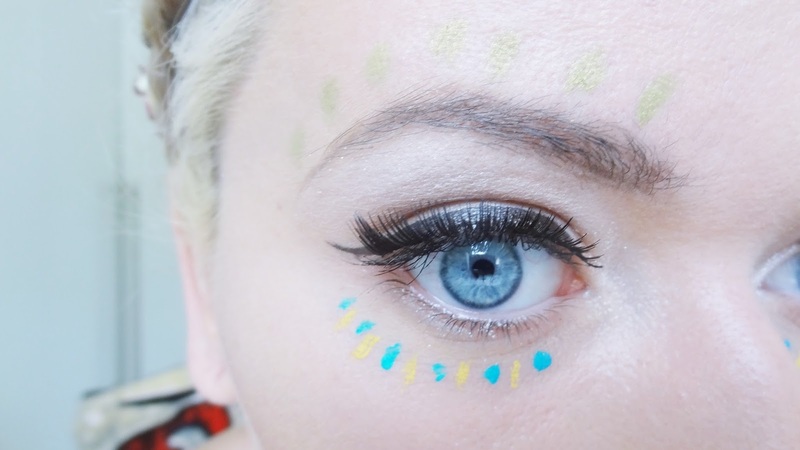 This look is so pretty and I love the festival eyes – they're so fun! Amazing look! Really pretty and on point! Your hair looks so beautiful! Love this style! This look is so sweet 🙂 love your hair style too! 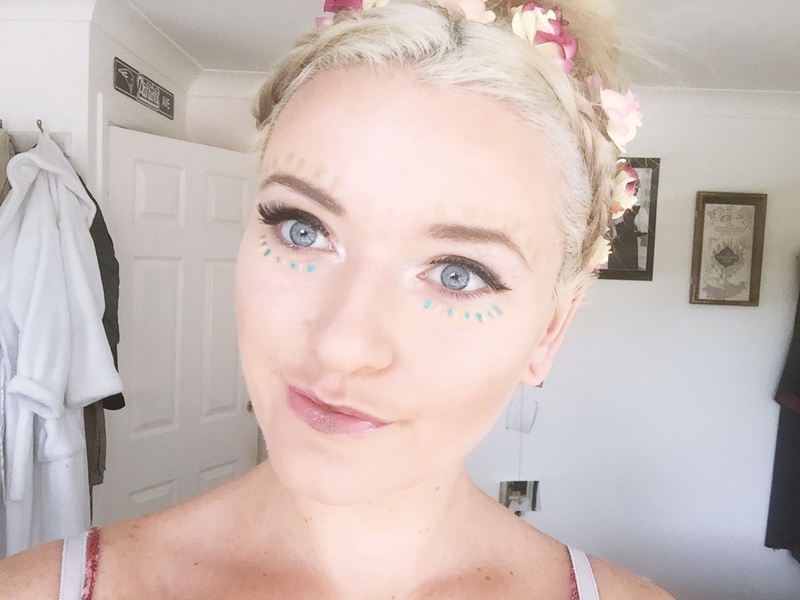 It looks so pretty, I've been looking for some festival make up inspiration but some of them are too much to do in a rainy tent! Yours is just the right amount though! What a great festival look, and not too heavy too! I do sometimes sigh a bit when I see girls with makeup they've spent hours on, only to sweat it all off dancing in the crowd. This is so fun!!!! You look great. Hope you enjoyed T in the Park!